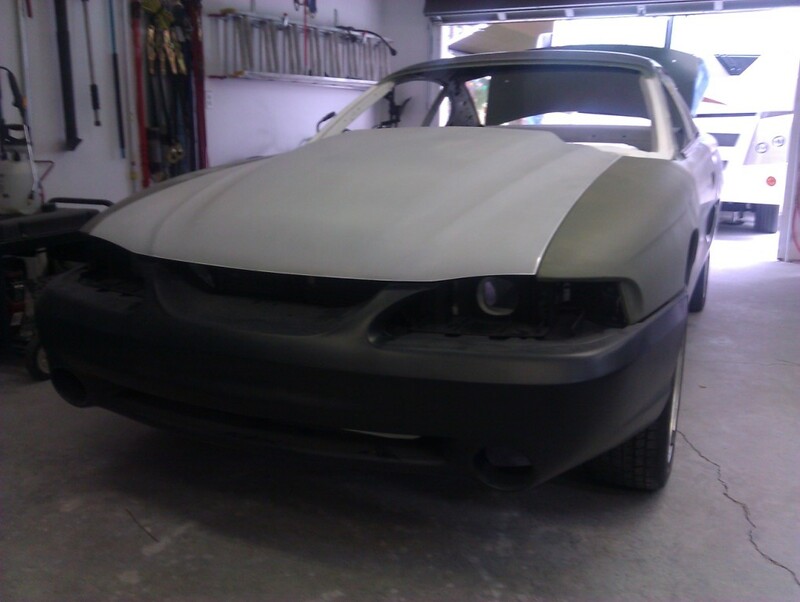 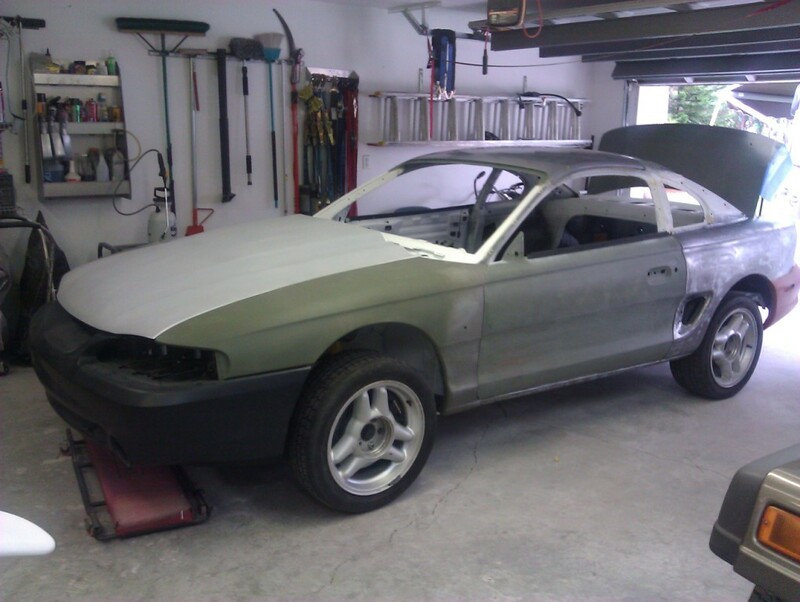 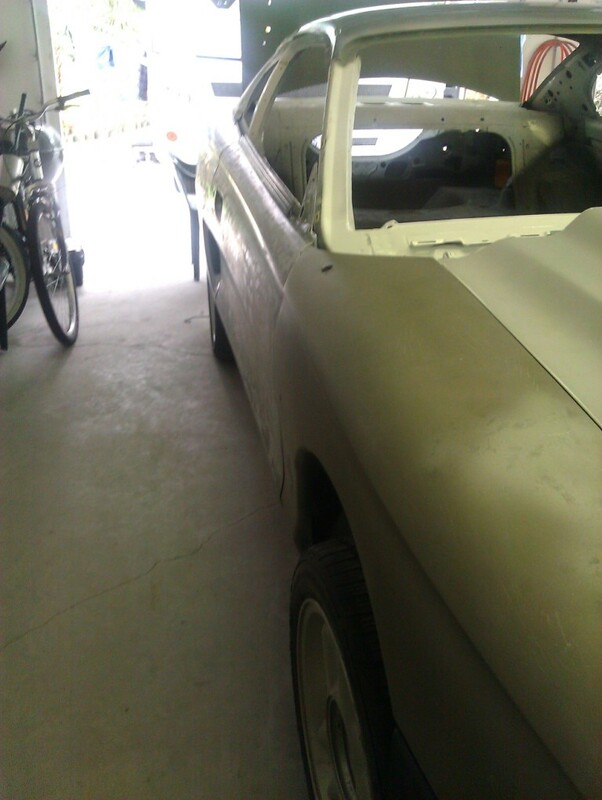 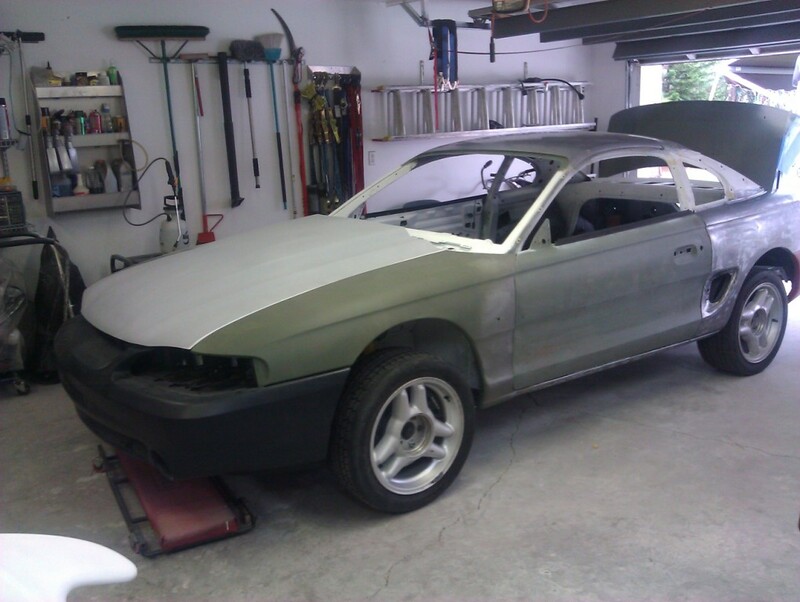 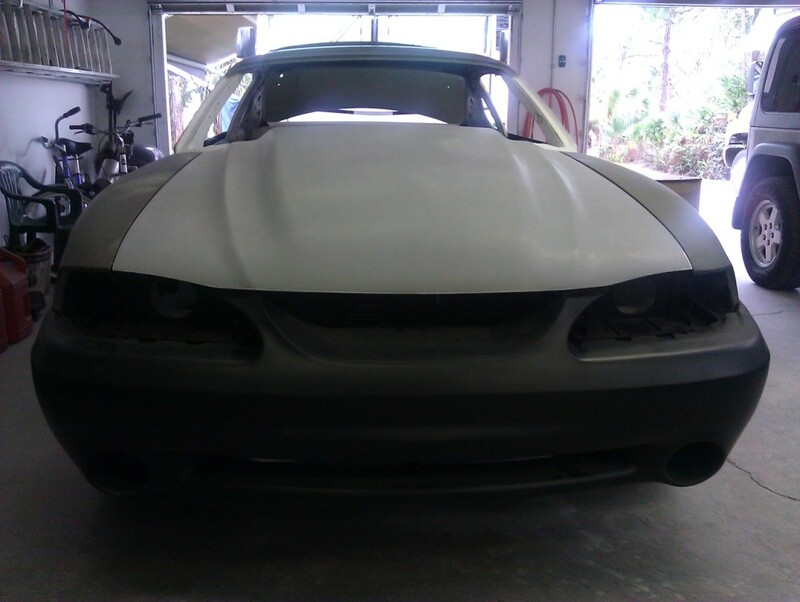 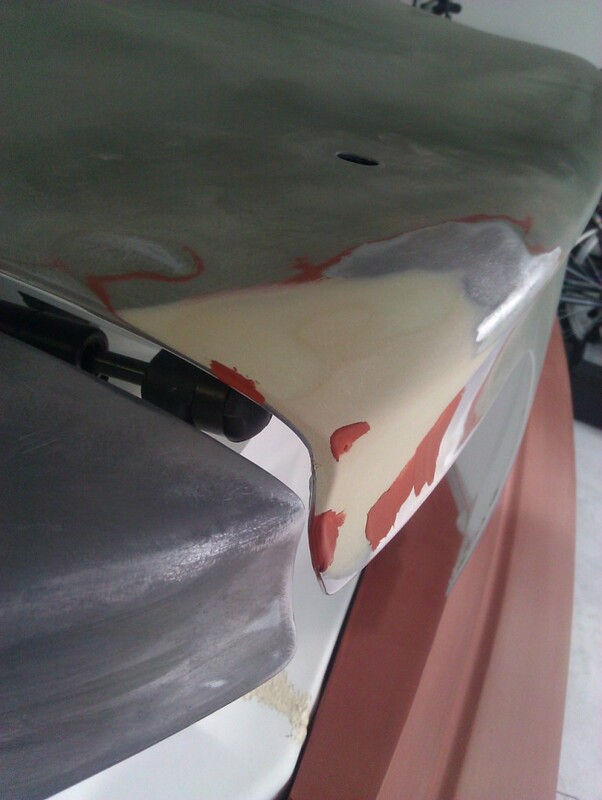 Unfortunately, having the bodywork and paint done by Palm Beach Coachworks did not go through as planned. 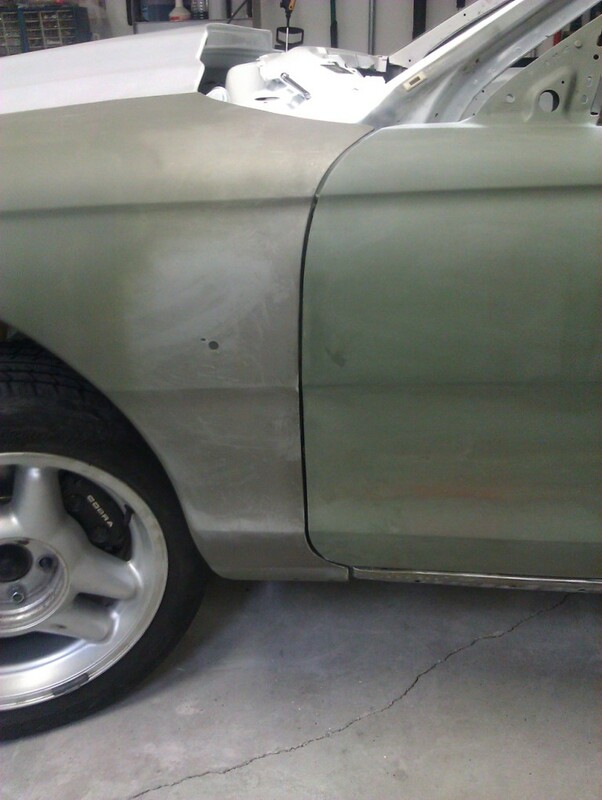 After seeing the car and the amount of work to be done, the estimates for the work were between $5000 to $6000. 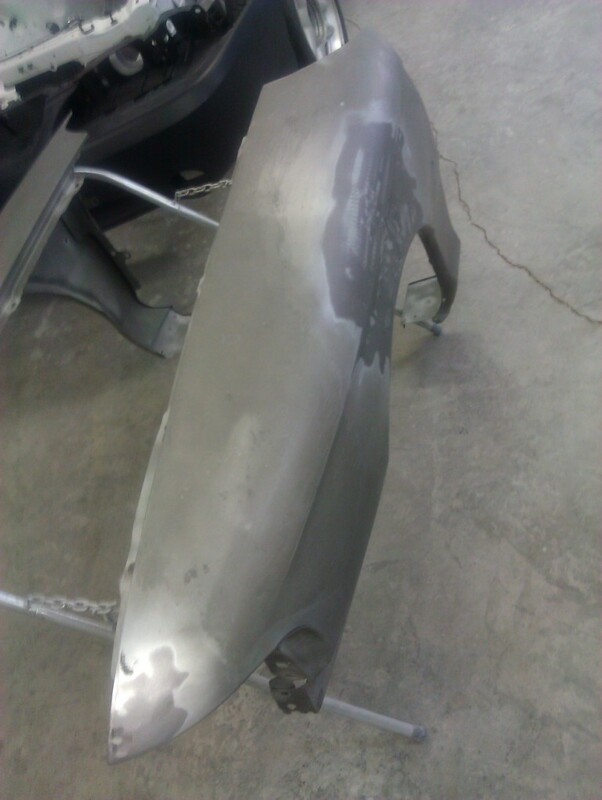 So I am going to take a crack at the bodywork myself, and possibly the painting too. 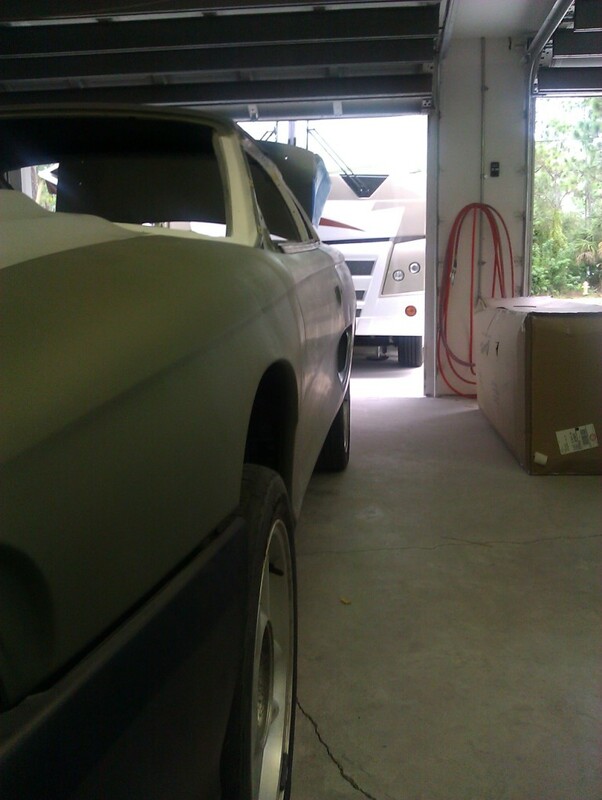 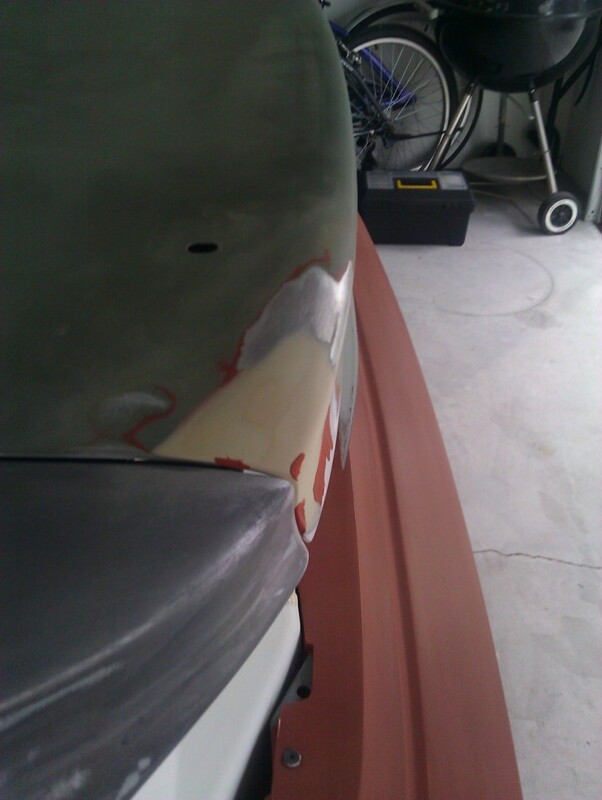 With the car back home, the first job was to fit all the body panels to the car and set the gaps. 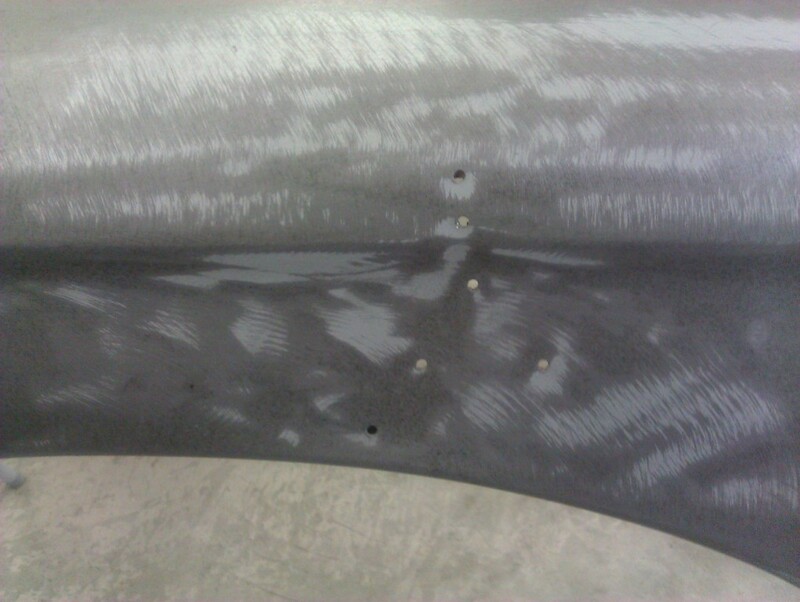 This would show me fitment flaws that would need to be corrected. 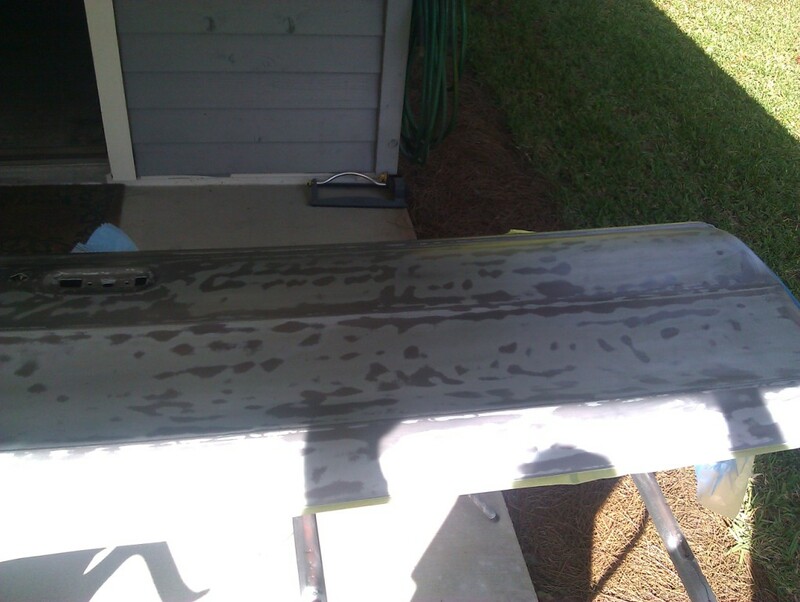 A couple of problem areas showed up. 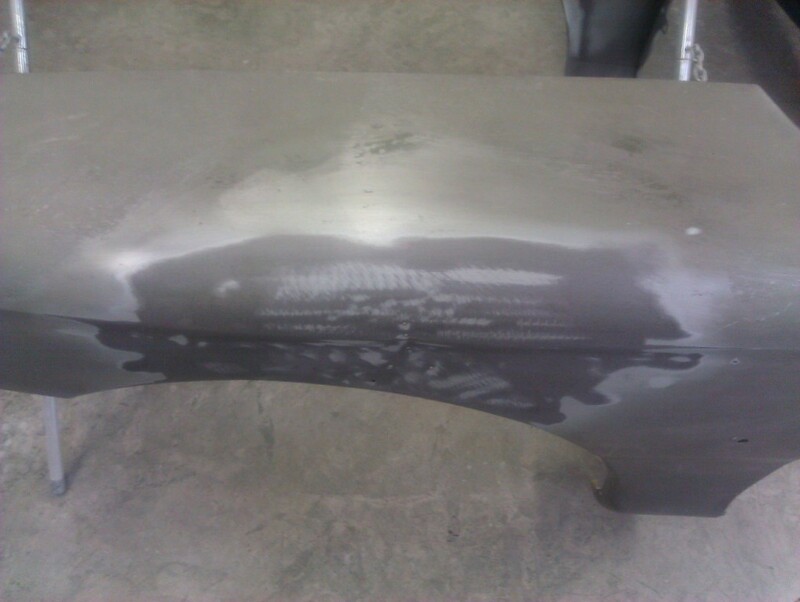 One was the drivers fender did not follow the contour of the hood at the leading edge very well. 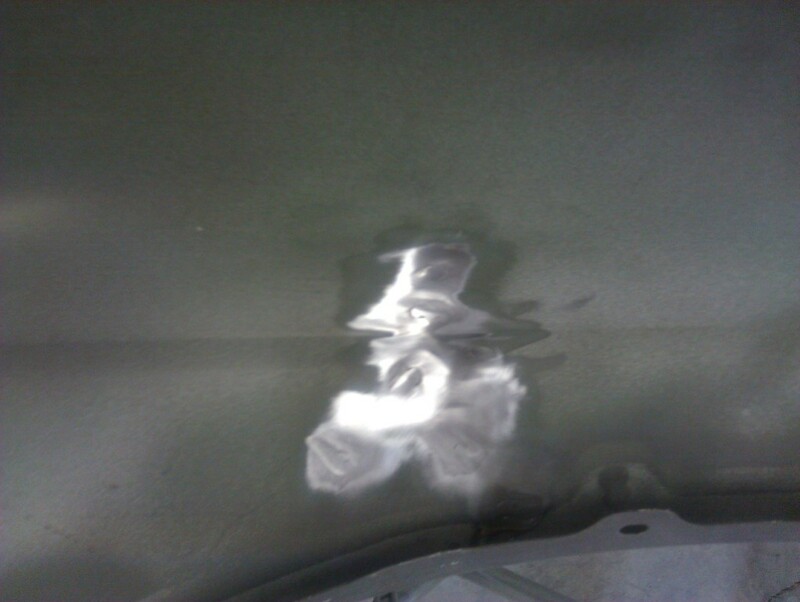 That area of the fender had been involved in a accident at some point, and was probably the root cause of the issue. 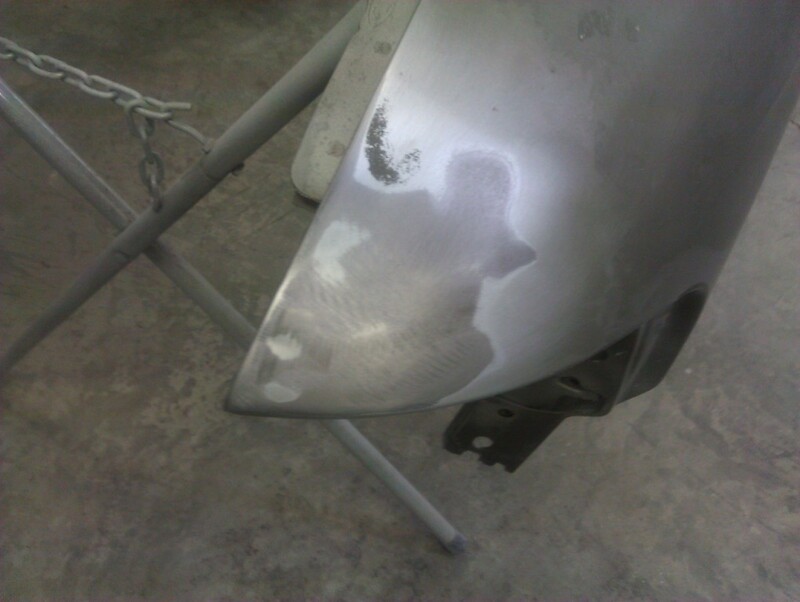 Also the same fender had been hit above the wheel arch and repaired the 'old-school' way by drilling holes and using a dent puller. 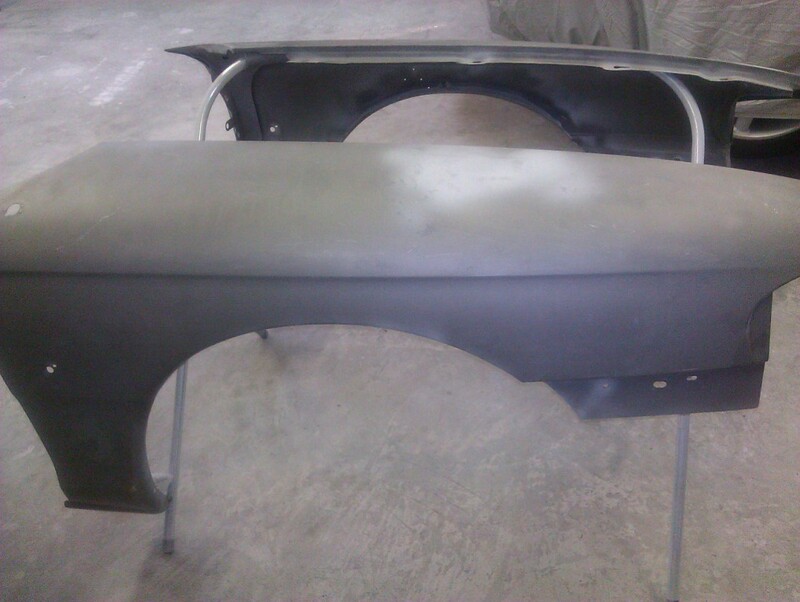 I went ahead and welded-up the holes and finished the fender in a coat of etching primer to prevent rust. 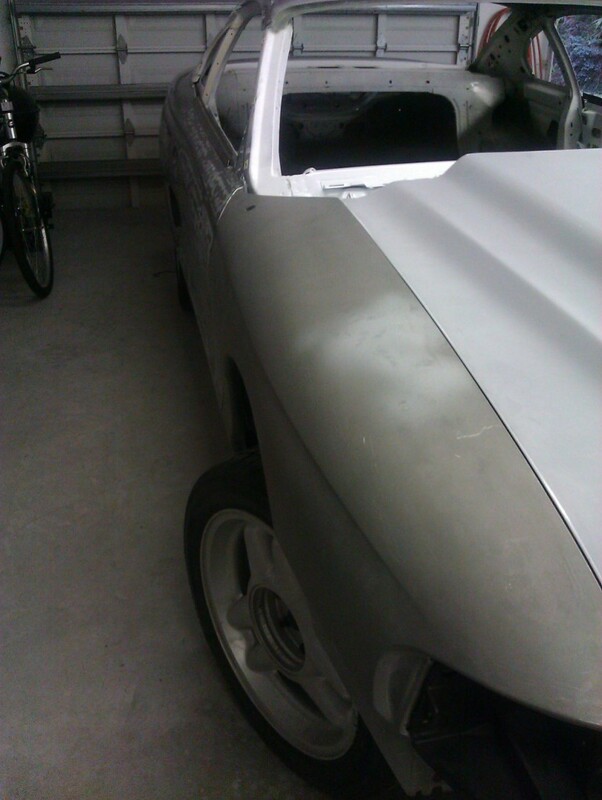 I also decided to keep my eyes open for an good used fender, as that may be the easiest route to take to fix my fitment issue. 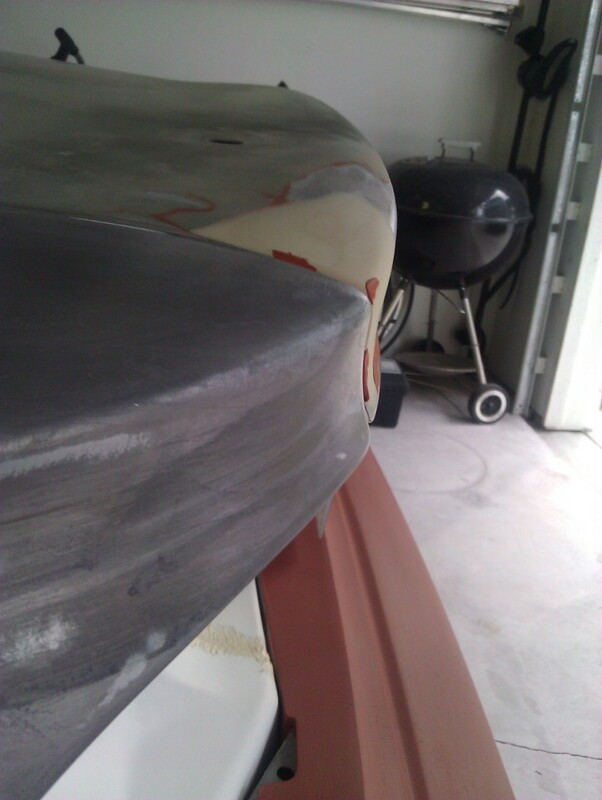 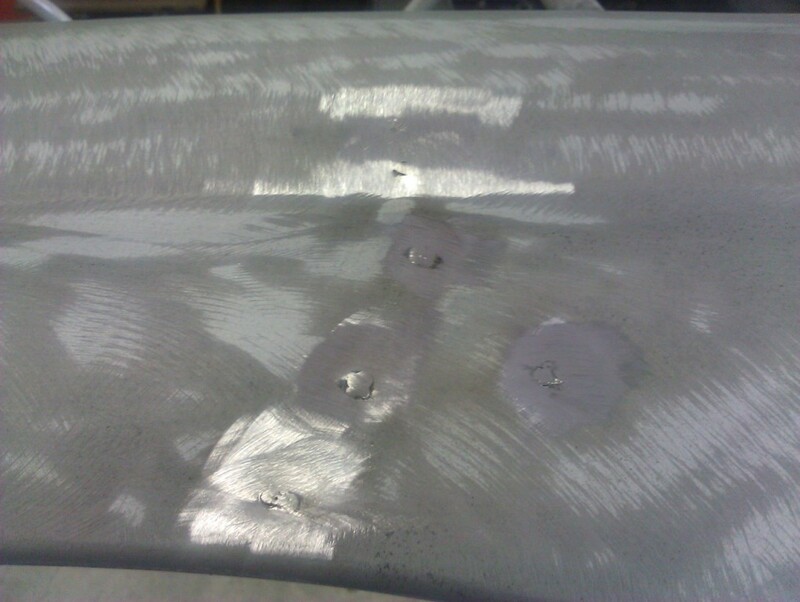 Another problem area was the trunk lid where it met the rear body line on the fender. 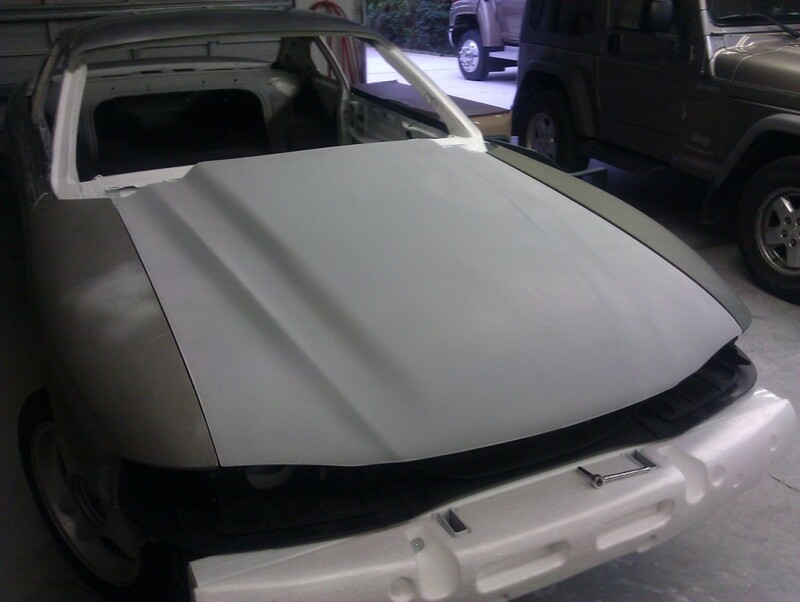 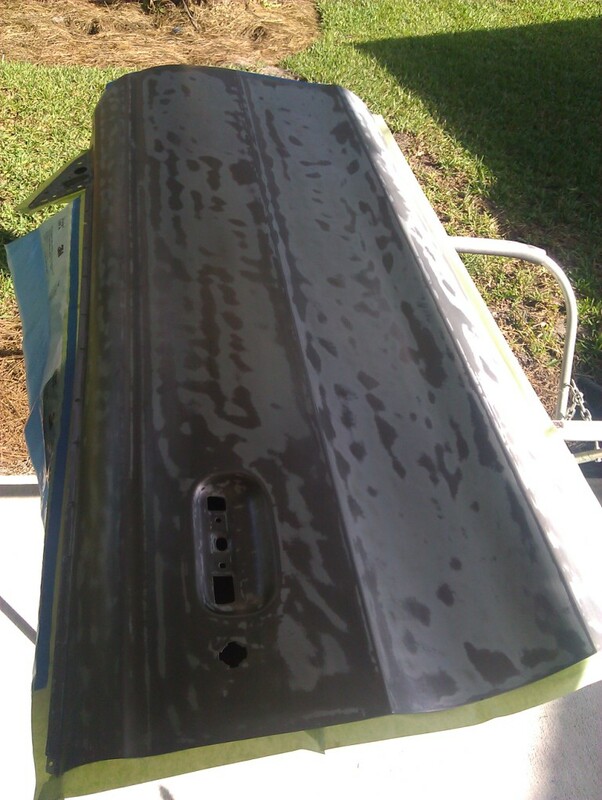 The trunk lid had been damaged at some point and the line was way off. 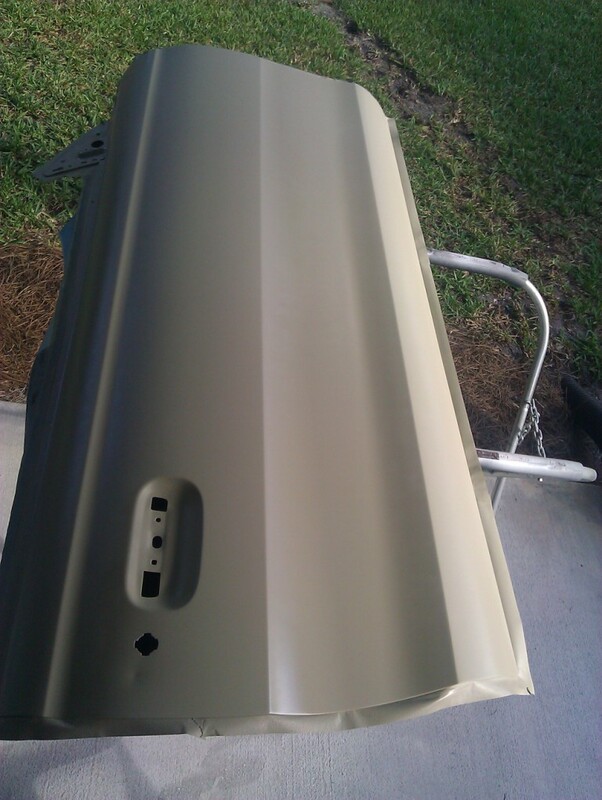 The Cobra trunk lid is very rare, as it is special only to the 94-95 Cobra's and is not interchangeable with regular Mustangs. 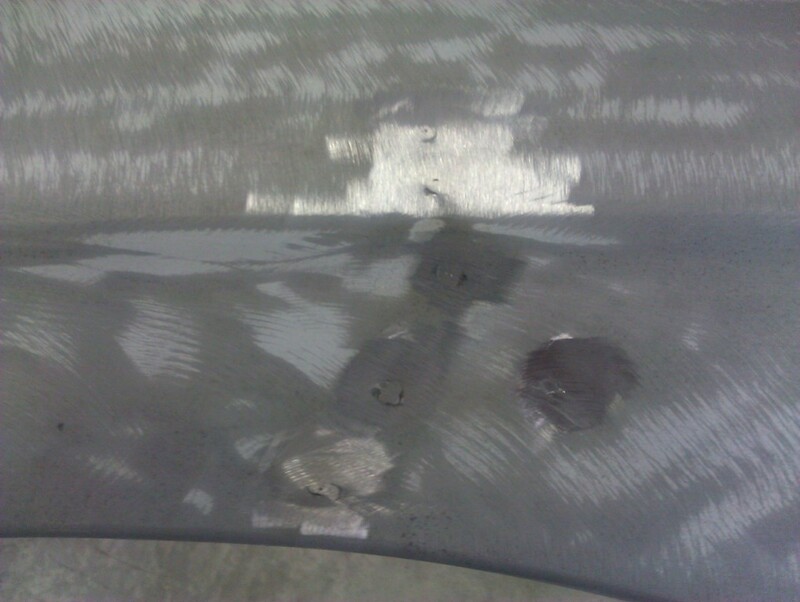 So the only choice was to fix it using filler. 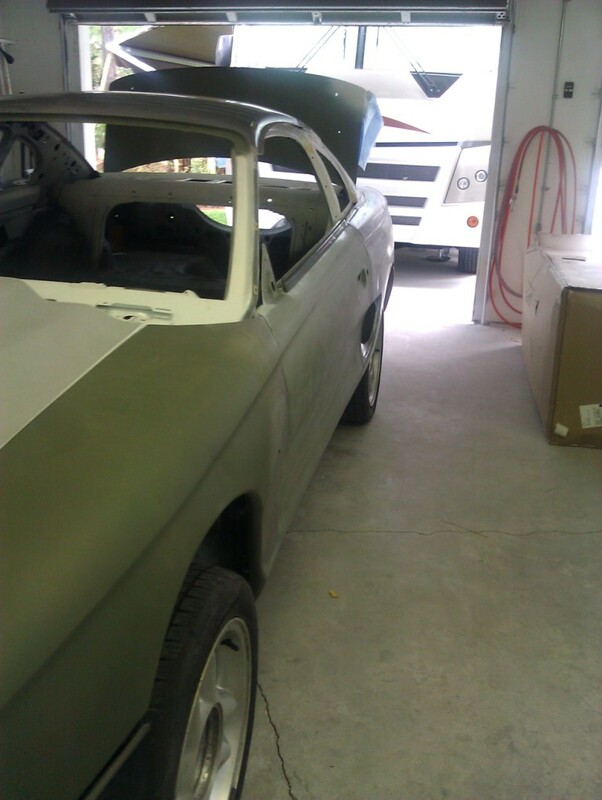 After that was taken care of, all the body panels were taken off the car. 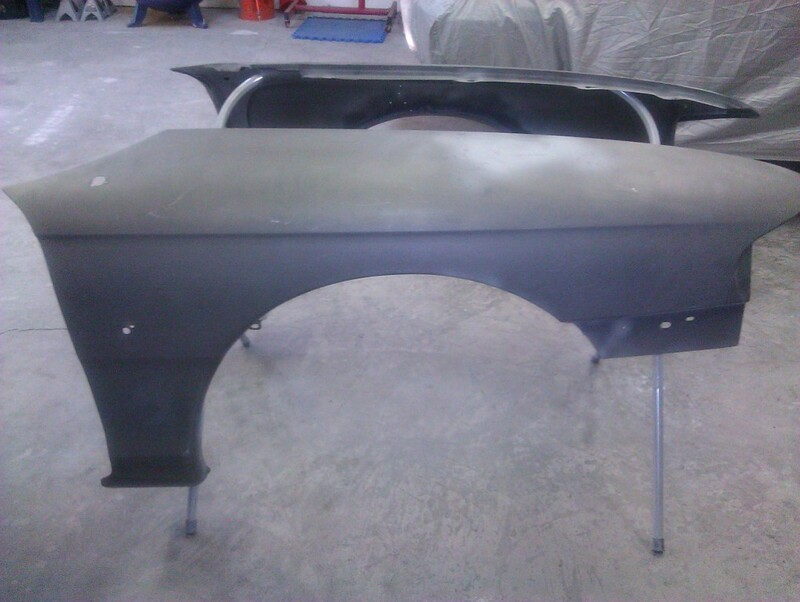 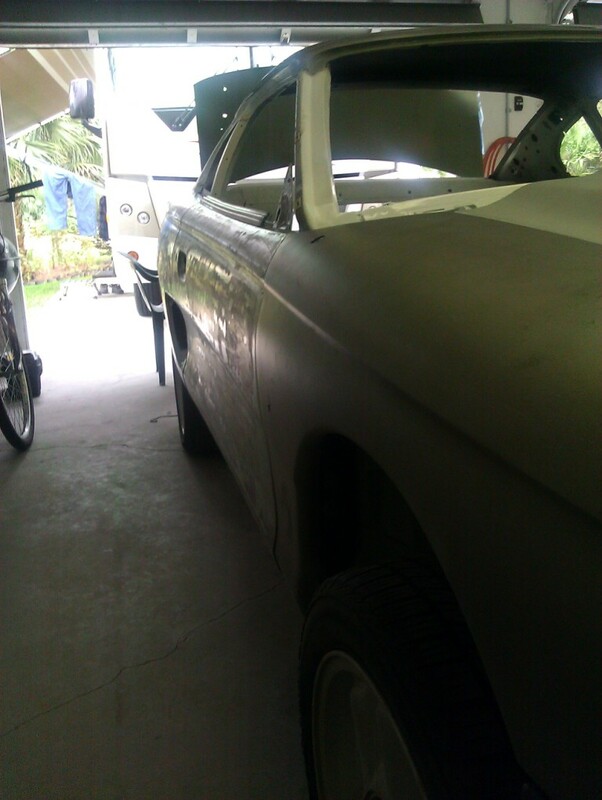 The bare steel body was throughly prepped and a couple of coats of epoxy primer were sprayed on. 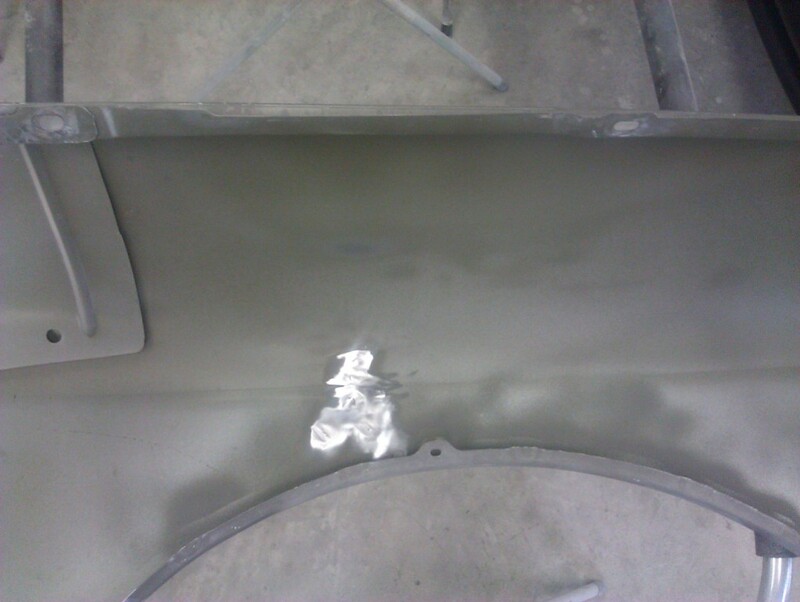 Epoxy primer bonds extremely well to bare steel, providing a excellent barrier against corrosion and provides a solid foundation for any bodywork. 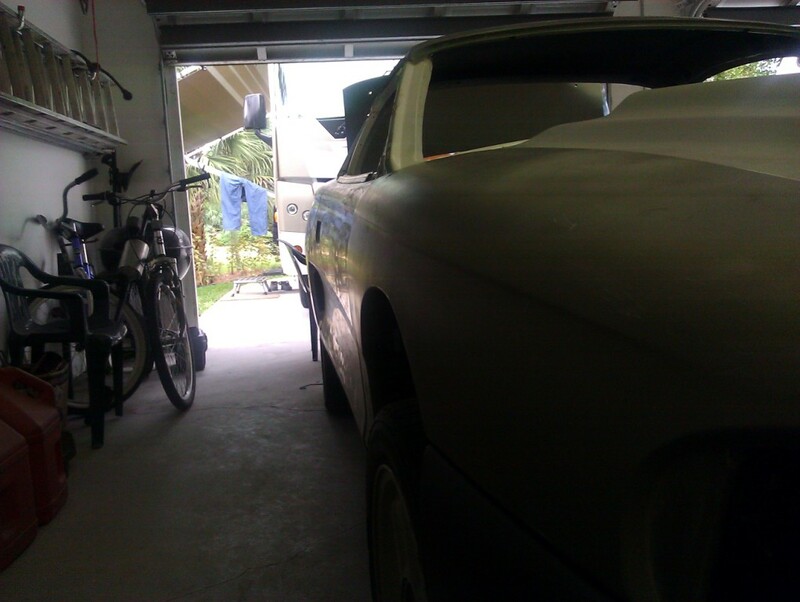 Last Modified: May 15th, 2012.